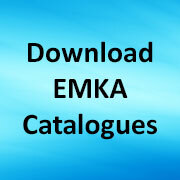 Here at EMKA UK , as market leaders in enclosure hardware we are very aware of the special needs of the HVAC market which often calls for vibration resistance and adjustability of large access doors mounted on sturdy easily demountable hinges. 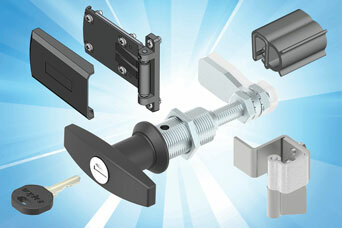 The EMKA solution is typically a package of program 1000 compression T handle latch/lock, or similar L handle or wing handle. These offer convenient quarter-turn operation with cylinder key lock, plus a full 6mm compression of the gasket, so guarding against spurious door opening under vibration conditions. Heavy duty program 1046 weld-on or bolt-on hinges with concealed fittings and removable hinge pins accommodate both the weight of large doors and the need to remove them quickly – factors which can also call for adjustable hinges. Frequently the 1054 3D hinge is required to deal with this situation. Sealing of these doors is often best facilitated by use of the 1011-09 right angle clip-on EPDM profile strip with integral D section to prevent ingress of liquids and solids. Share the post "Packaging Air Conditioning Systems"